Please see my Shop Announcement for current wait times. If you need an item by a specific date, please specify that when ordering or contact me first so that I can ensure you get your order by your need by date. 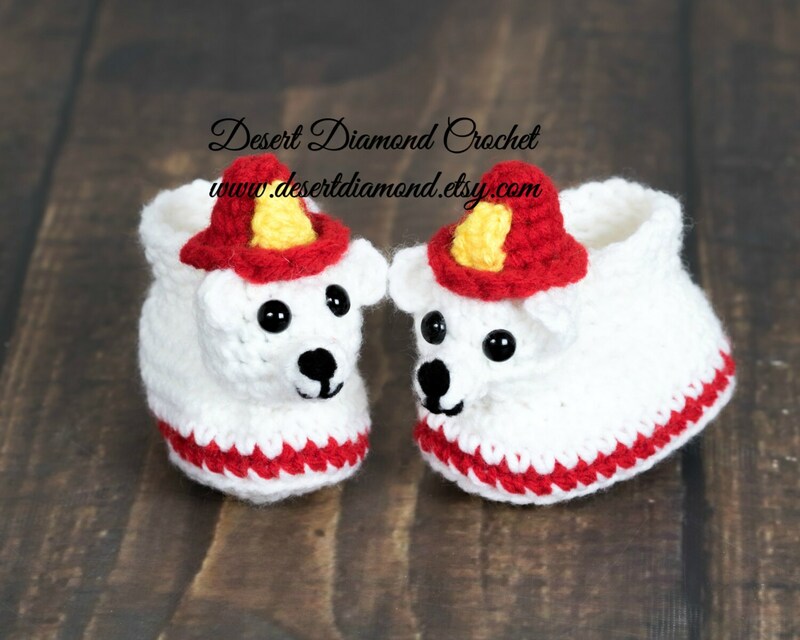 Order your own pair of Fireman Bear Baby Booties to honor your favorite emergency responder or firefighter! 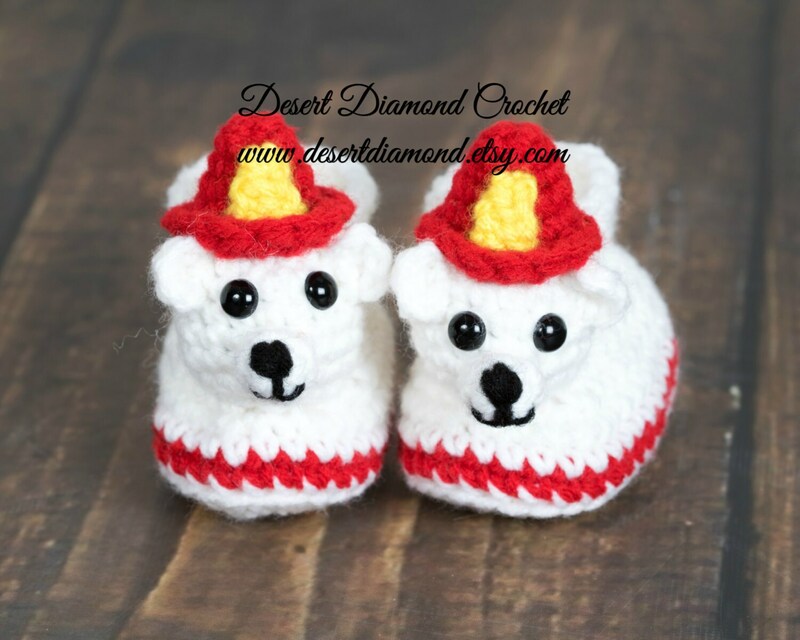 I can make these in 5 different sizes. Please specify size and colors when ordering. A foot measurement is always best to ensure proper fit. These booties are not intended for walking babies. If you order for walking babies, you assume all safety risks involved. These booties do not have slip resistant bottoms. 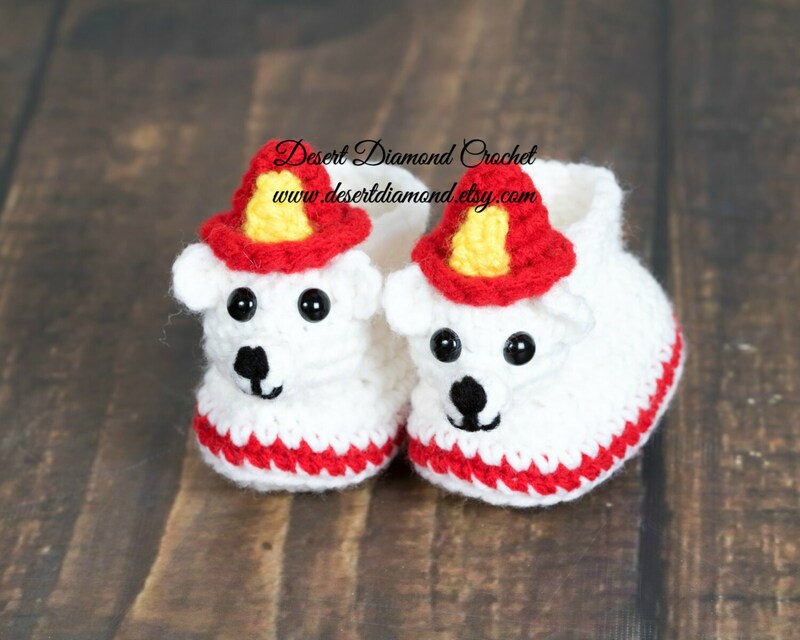 This pattern is my design and can be purchased as PDF 115 in the pattern section of my shop. All orders will ship via USPS First Class mail or Parcel Post with Delivery Confirmation. Advertised shipping dates by the USPS for first class mail is 3-5 days. This is not a guaranteed delivery date by the USPS. Especially during peak shipping periods such as Christmas. If you want to receive your order on a "gauranteed" date... you will need to pay for Express mail in which your oder will be delivered on a certain date and time. 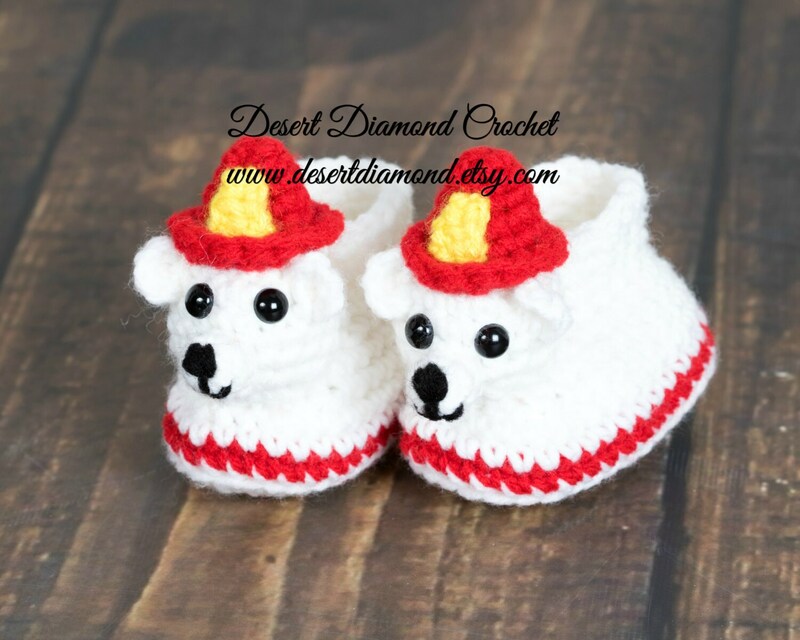 If you want your order faster than First Class/Parcel Post Shipping, let me know and I will create a custom listing for you with correct shipping charges. International orders are always welcome. 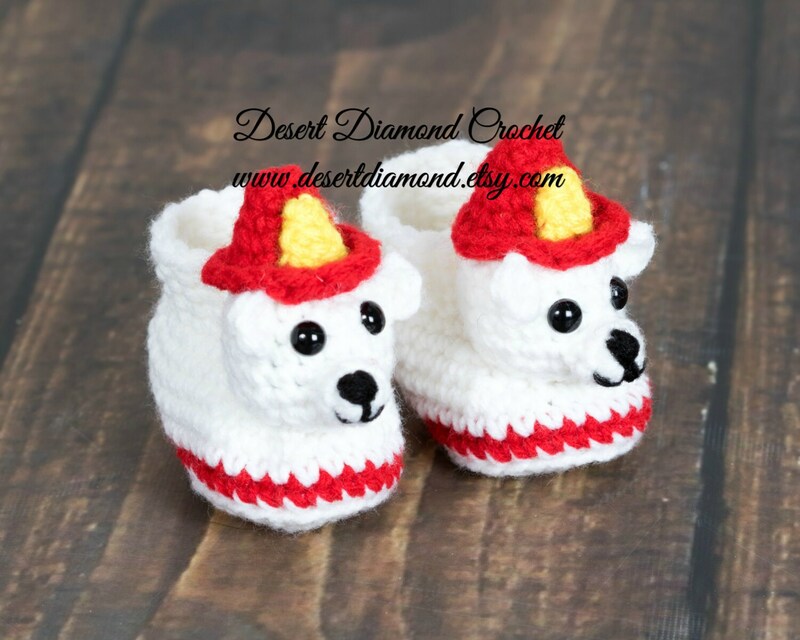 Please contact me prior to placing an order so that I can create a custom listing for you with the correct shipping charges included. Most orders will ship Monday/Tuesday/Saturday with onsie twosie going out on other days. At the time order is placed, I will let you know when to expect your order to ship.